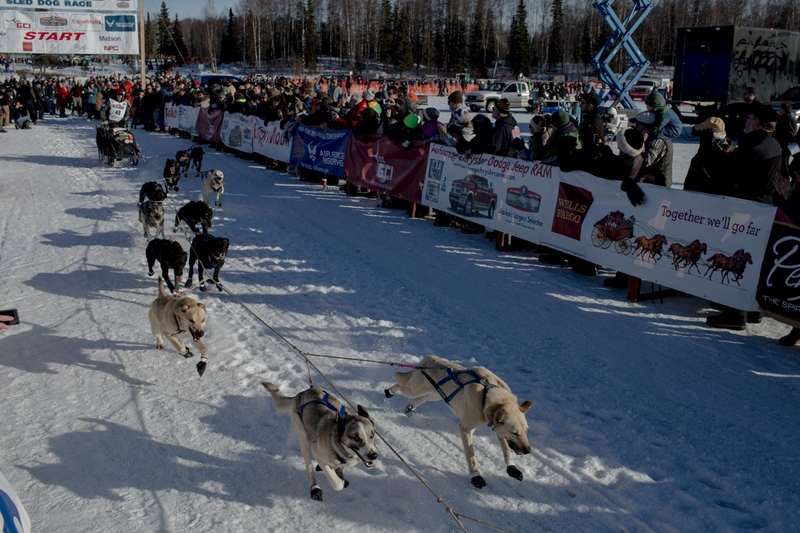 The Iditarod is Alaska's official sport, equal parts frontier and NASCAR vibes. 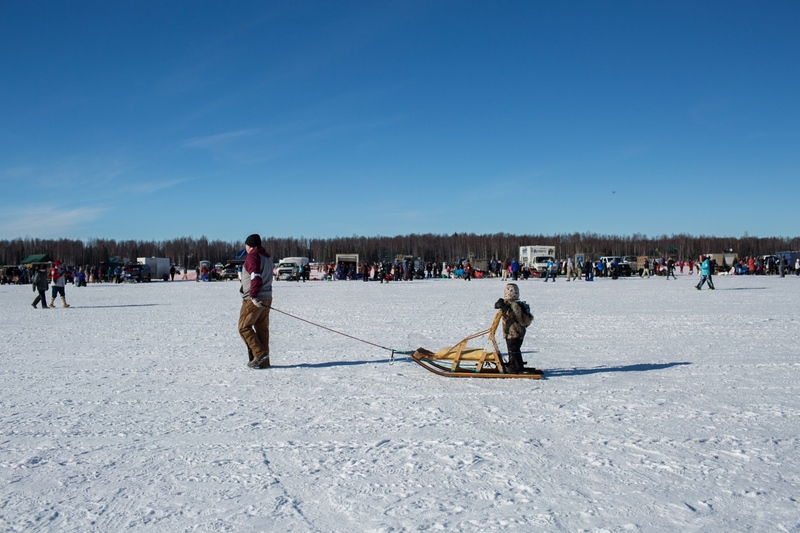 Starting ceremonially in Anchorage and officially in Willow, Alaska, mushers and dog teams compete in the 1,000-mile race to Nome. Andrew Pace, husband to Iditarod musher Kristin Pace, pulls a dog from their trialer at the ceremonial Iditarod start in Anchorage on March 5, 2016. Together Andrew and Kristin run Hey Moose! Kennel in Healy, Alaska. 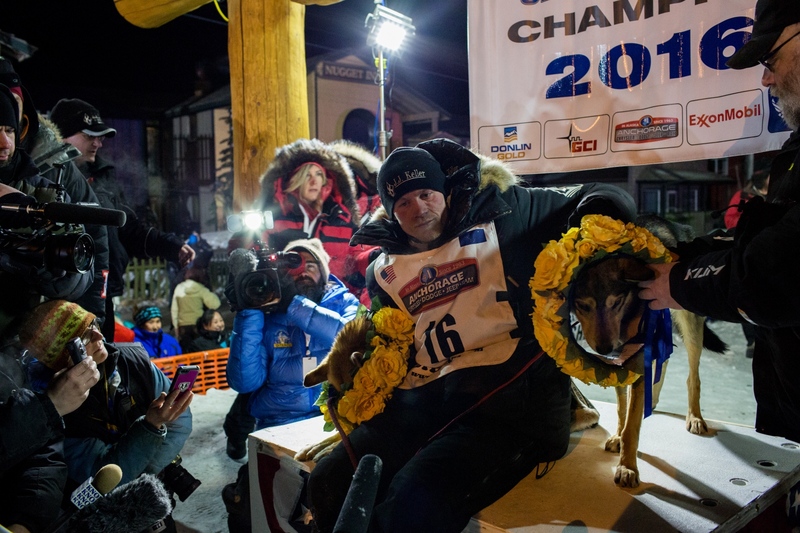 Andrew also mushes dogs and was a 2016 finisher in the Yukon Quest. Aliy Zirkle's dog trailer at the ceremonial Iditarod start in downtown Anchorage on March 5, 2016. 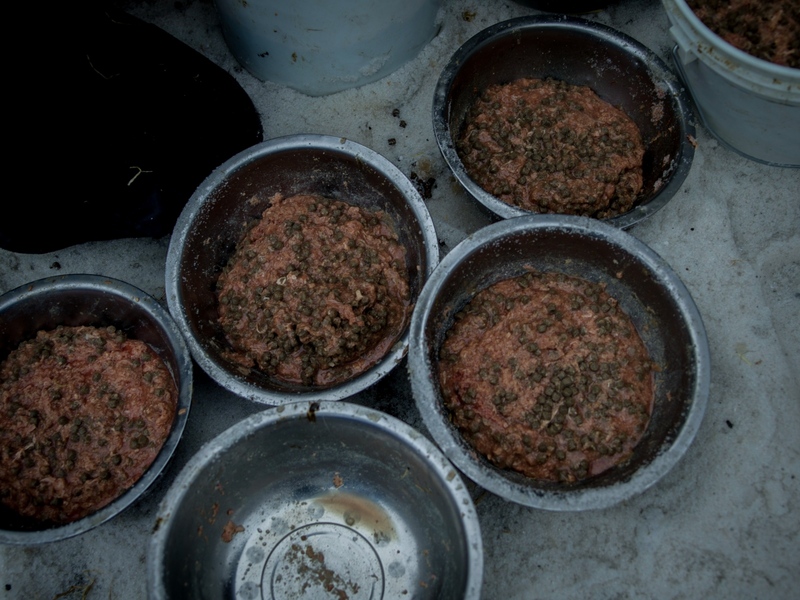 A dog handler feeds Tore Albrigtsen's dog team at the ceremonial Iditarod start in downtown Anchorage on March 5, 2016. 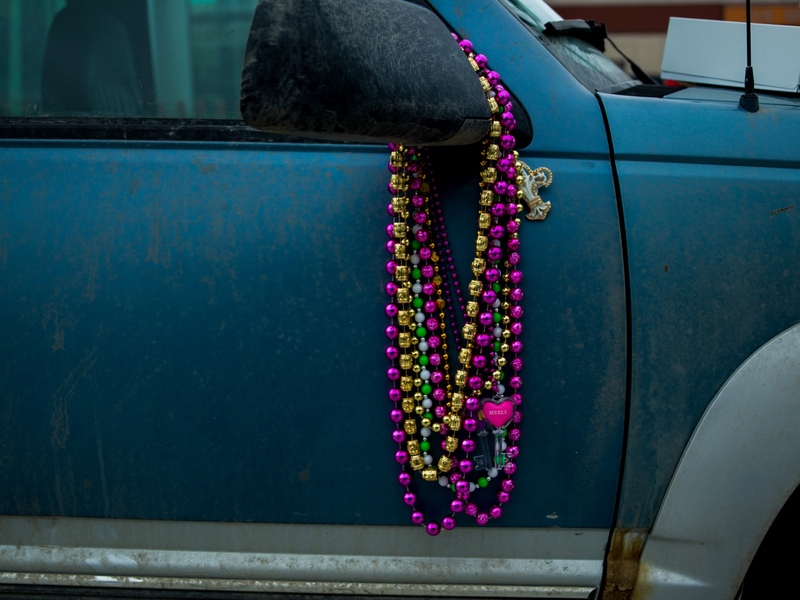 Beads hang from the truck pulling Wade Marrs' dog team at the ceremonial Iditarod start in downtown Anchorage on March 5, 2016. Four-time Iditarod champion Jeff King stands in his trailer with his dogs at the 2016 ceremonial start in downtown Anchorage on March 5, 2016. Ellen King laughs with her father, 4-time Iditarod champion Jeff King, while holding one of Jeff King's puppies at the ceremonial Iditarod start in Anchorage on March 5, 2016. Aily Zirkle pets one of her lead dogs before heading for the start line of the ceremonial Iditarod start in Anchorage on March 5, 2016. 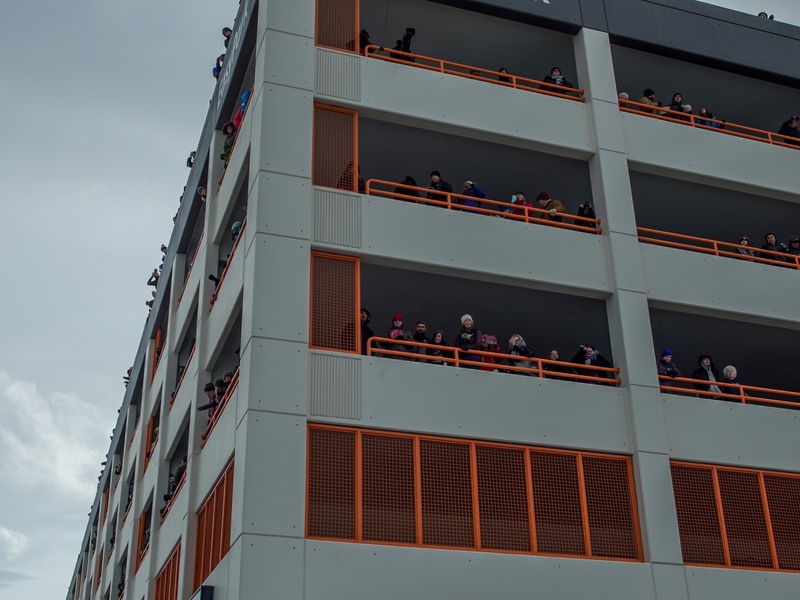 Spectators watch the ceremonial Iditarod start from a parking garage in downtown Anchorage on March 5, 2016. 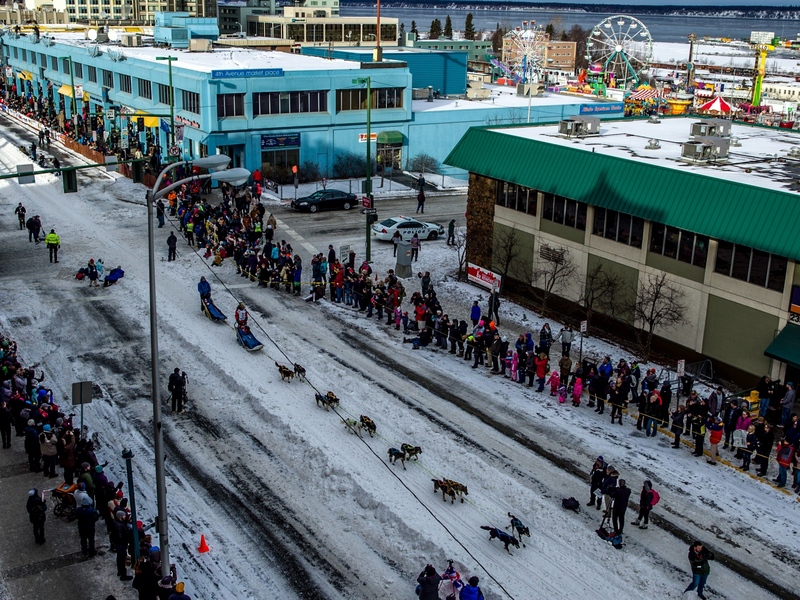 Sigrid Ekran mushes her team down 5th Avenue in Anchorage at the 2016 ceremonial Iditarod start on March 5, 2016. Due to lack of snow, snow was brought in by trucks and train days prior to the event, and the traditional 11-mile course was shortened to 3 miles. 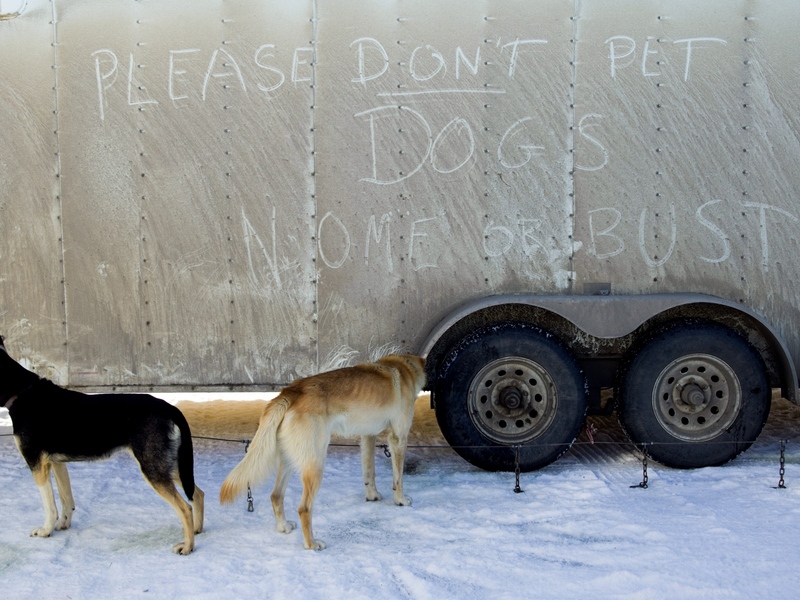 Dog trailer at the 2016 Iditarod restart in Willow, Alaska on March 6, 2016. 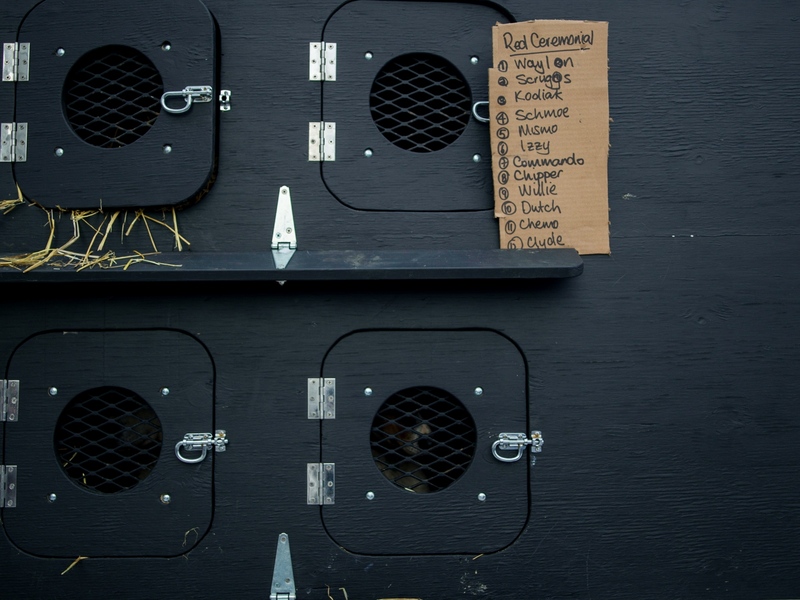 In the mushers' pen at the 2016 Iditarod restart in Willow, Alaska on March 6, 2016. 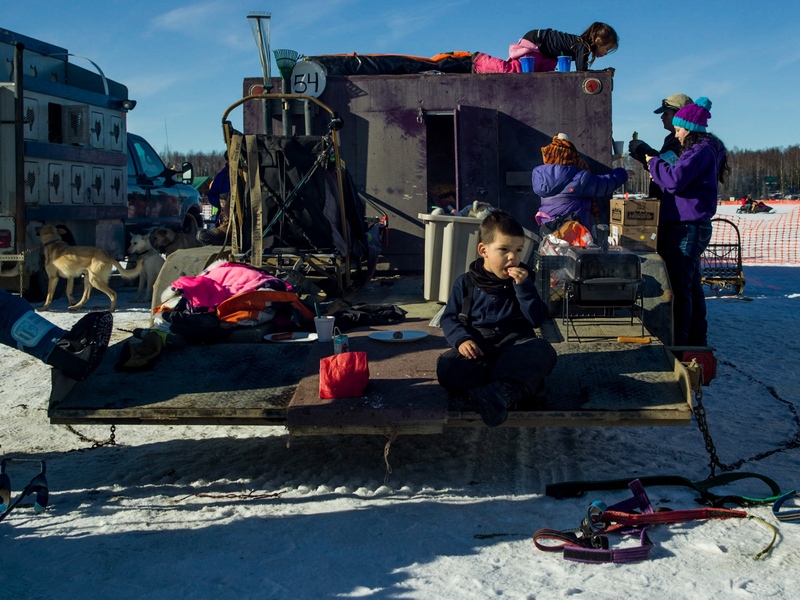 Alan Eischens’ trailer at the 2016 Iditarod restart in Willow, Alaska on March 6, 2016. Alan Eischens and his wife have six children and 13 grandchildren. 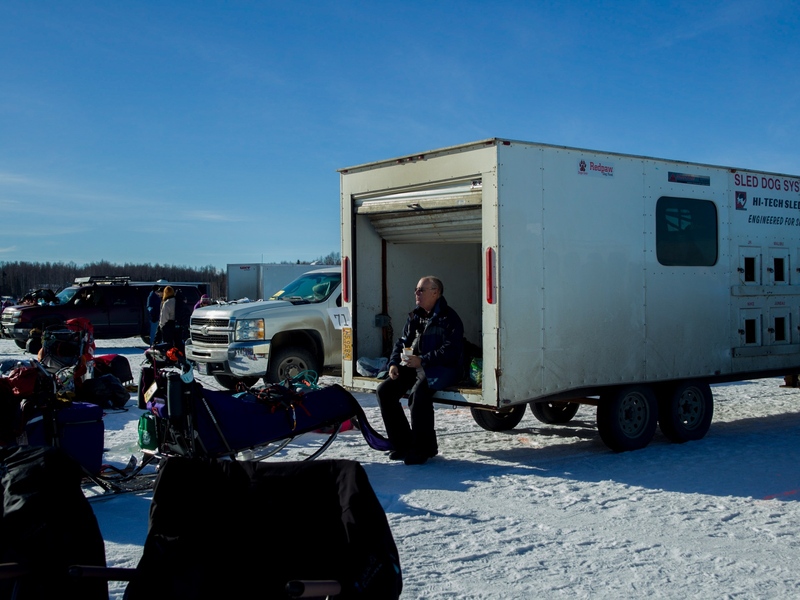 Alan Eischens’ trailer at the 2016 Iditarod restart in Willow, Alaska on March 6, 2016. 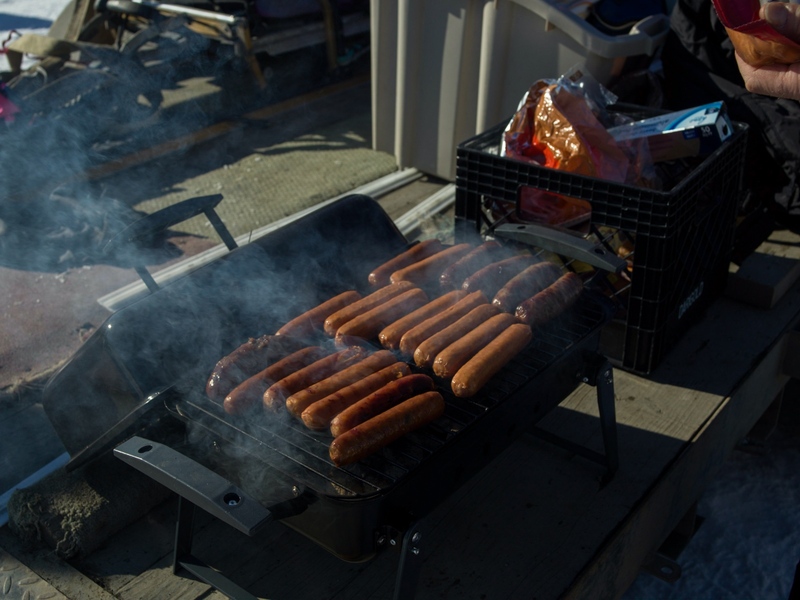 The Eischens made hot dogs and chili before the start on the unseasonably warm Alaskan day. 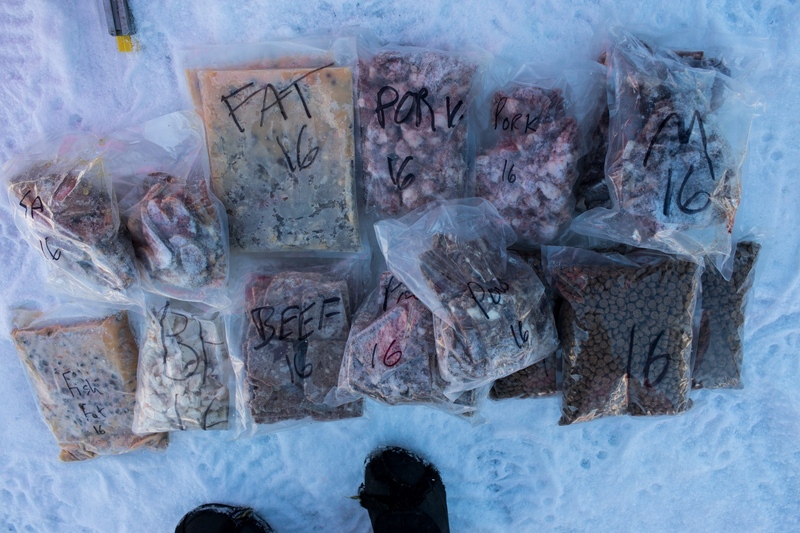 A handler lays out food for DeeDee Jonrowe's dog team at the 2016 Iditarod restart in Willow, Alaska on March 6, 2016. 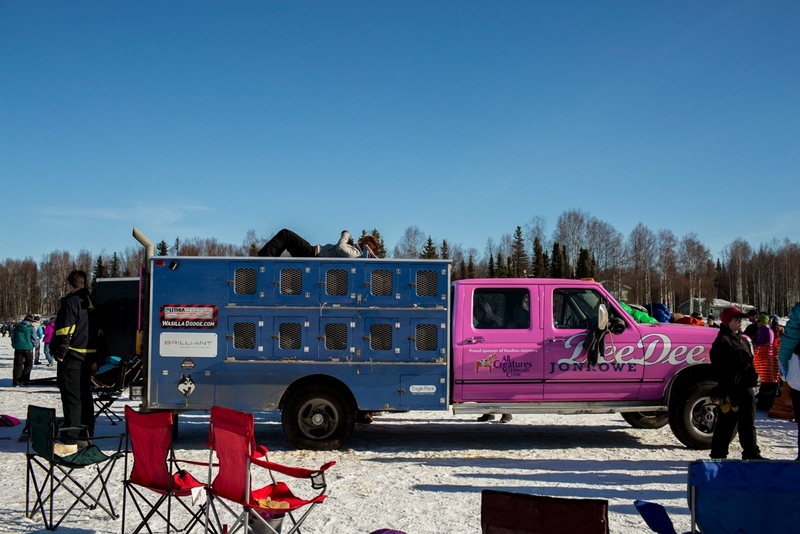 DeeDee Jonrowe's truck at the 2016 Iditarod restart in Willow, Alaska on March 6, 2016. 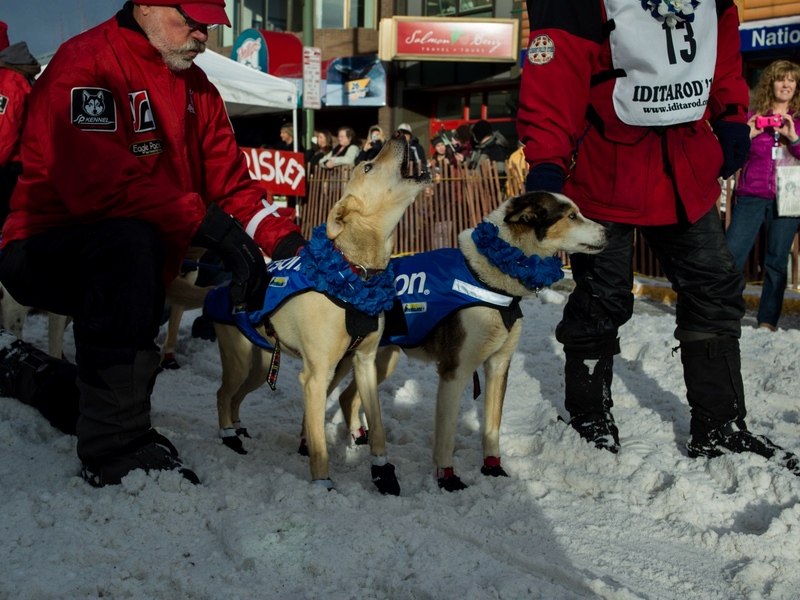 DeeDee has competed in the Iditarod 34 times and placed in the top 10 16 times. 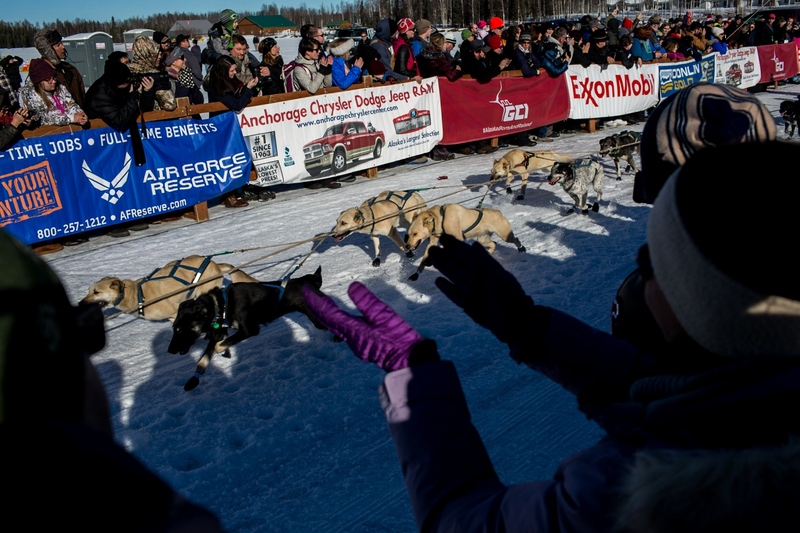 Fans cheer as a mushing team run past at the 2016 Iditarod restart in Willow, Alaska on March 6, 2016. 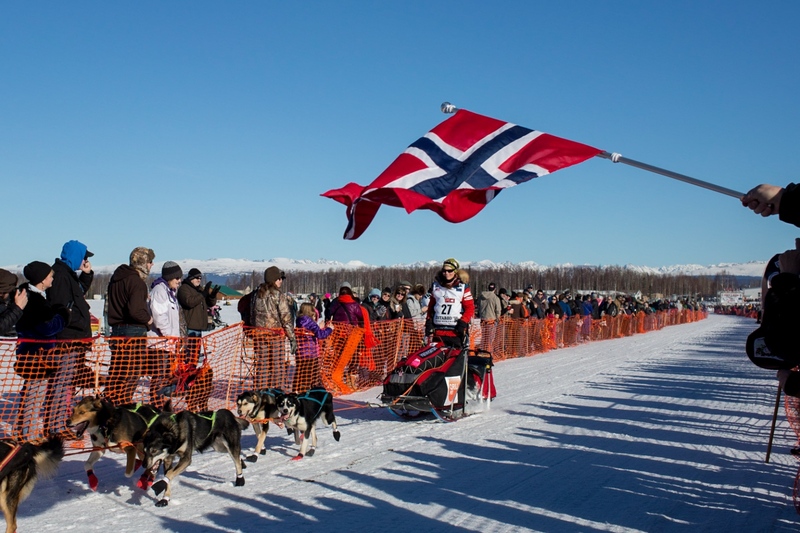 A fan waves a Norwegian flag as Sigrid Ekran of Norway mushes past during the 2016 Iditarod restart in Willow Alaska on March 6, 2016. 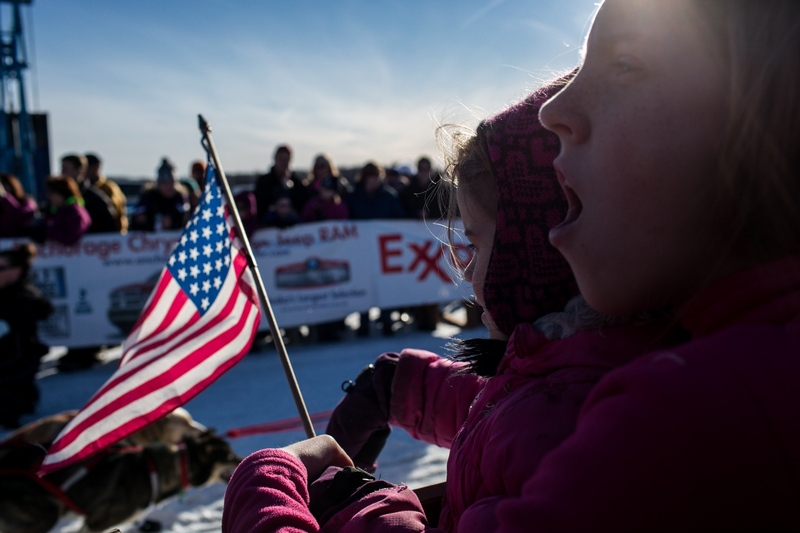 Fans cheer at the 2016 Iditarod restart in Willow, Alaska on March 6, 2016. 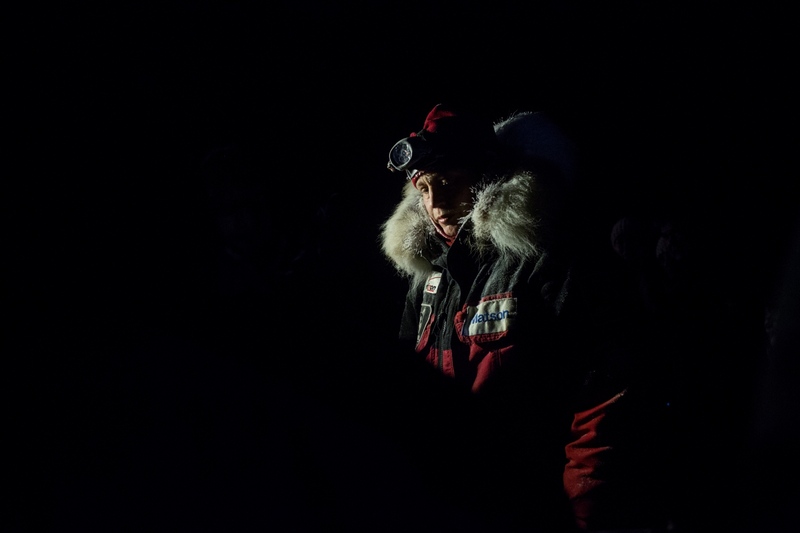 Martin Buser mushes out on the trail in Willow at the 2016 Iditarod restart on March 6, 2016. 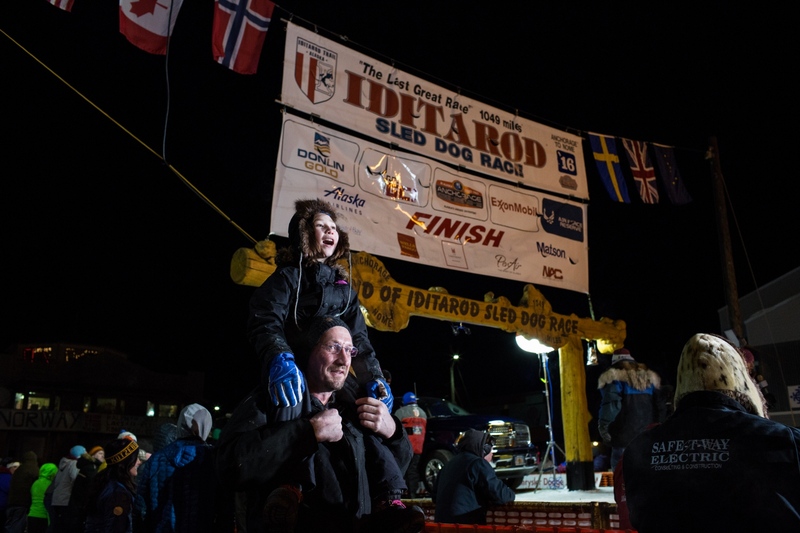 Four wheelers, all-terrain vehicles, dog sleds, fat tire bikes, and skis are all commonplace at the Iditarod restart in Willow, Alaska on March 6, 2016. 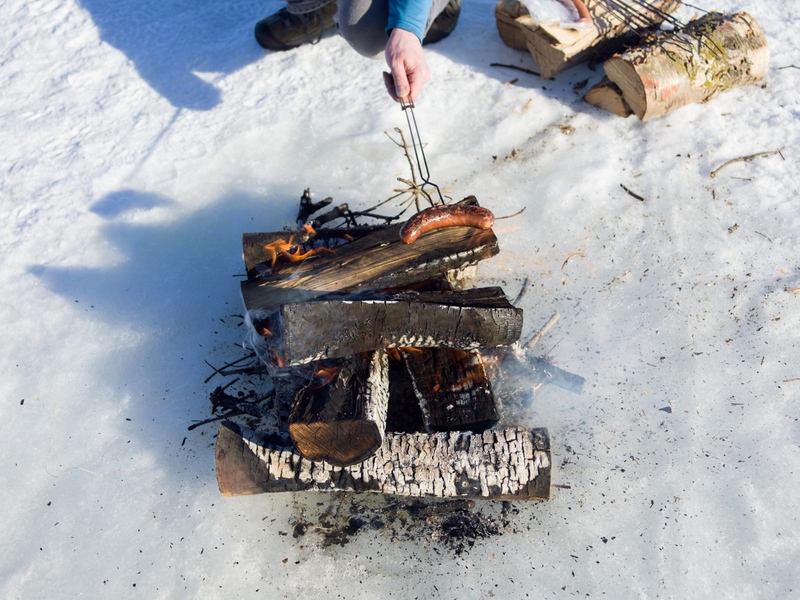 Craig Rohwer of Anchorage cooks a reindeer hot dog at the 2016 Iditarod restart in Willow, Alaska. At the 2016 Iditarod restart in Willow, Alaska on March 6, 2016. 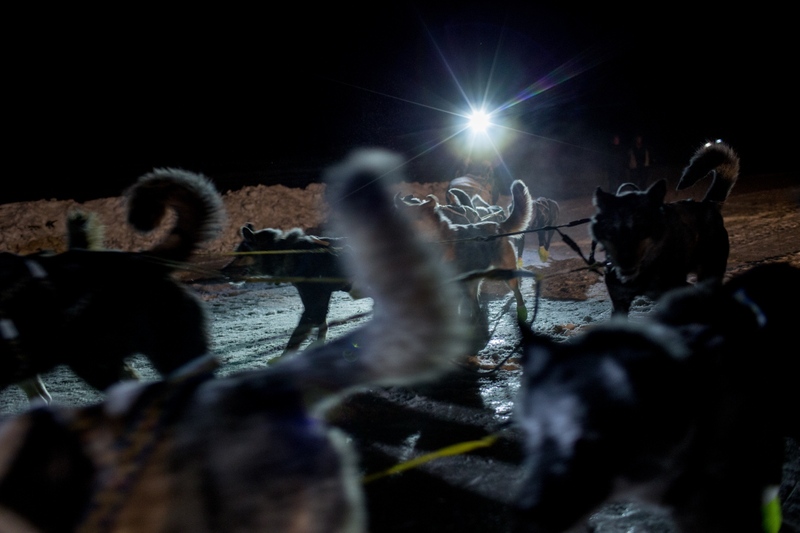 Sebastien Vergnaud with his dogs at the 2016 Iditarod restart in Willow Alaska on March 6, 2016. 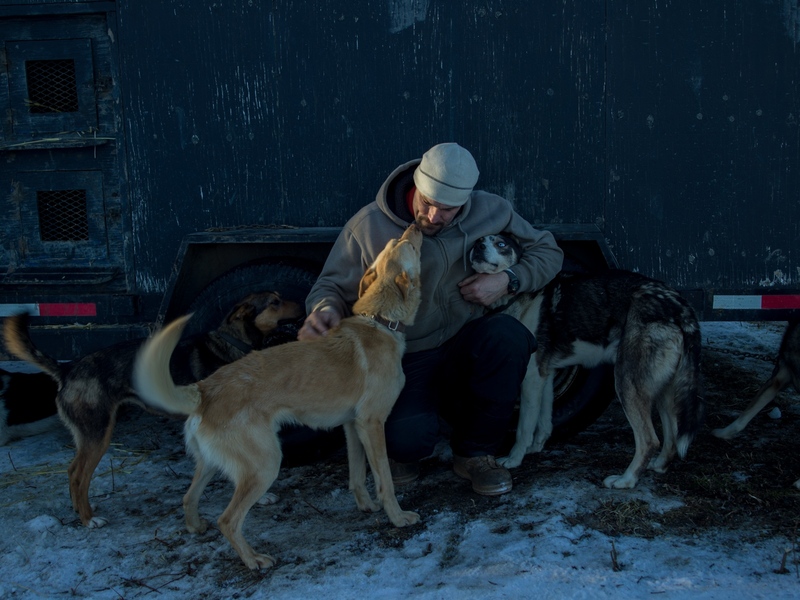 Vergnaud, originally from France, is currently living in the Yukon, and although he says his dogs, most of whom are about one year old, are too young to race this year, he is hoping to race the Iditarod next year. Unalakleet, Alaska from the sea wall. March 12, 2016. Iditarod musher Brent Sass arrives with his team in Unalakleet on March 12, 2016. 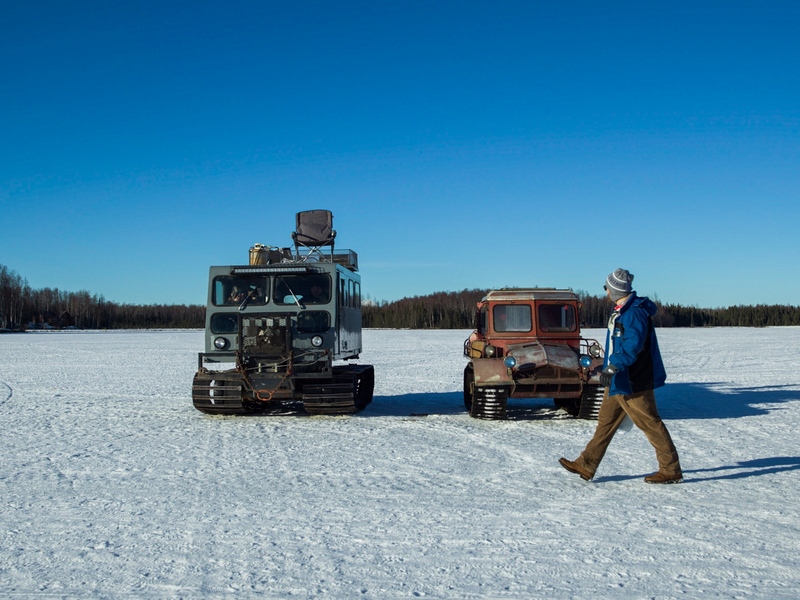 Brent was the first to arrive at the checkpoint of the 85 competing dog sled teams. 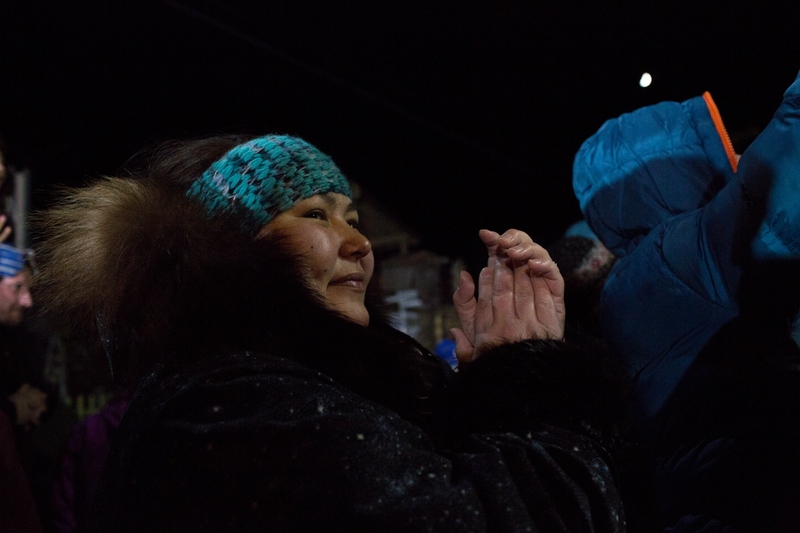 Aliy Zirkle, after arriving third in Unalakleet in the early morning hours of March 13, 2016. 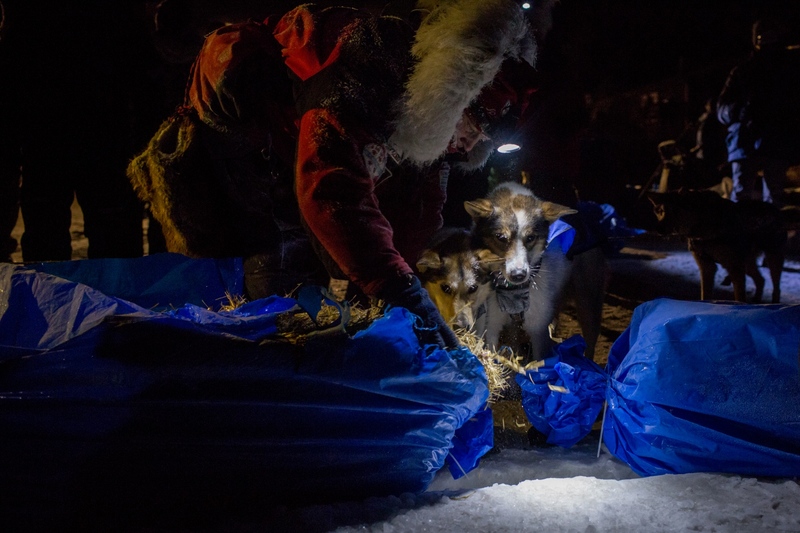 Aliy Zirkle lays down hay for her dogs after arriving third in Unalakleet in the early morning hours of March 13, 2016. 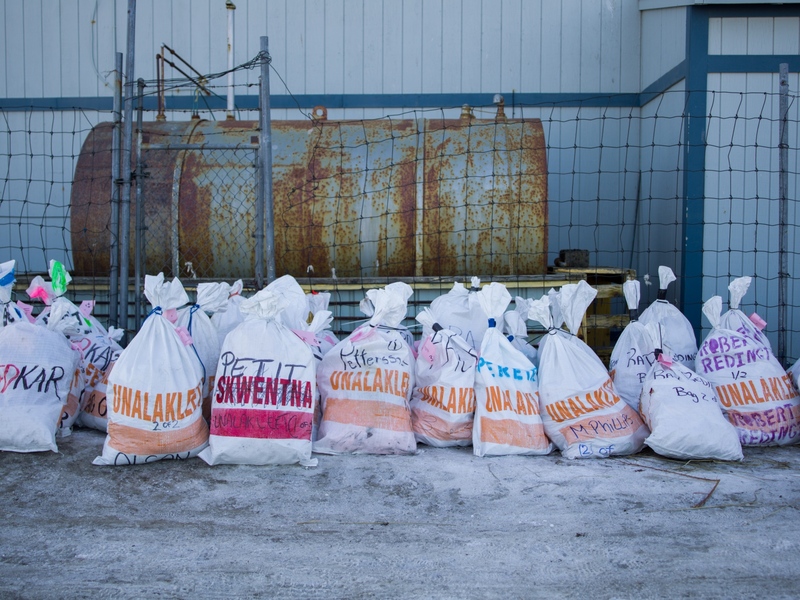 Bags of feed rest outside of Iditarod headquarters in Unalakeet, Alaska on March 12, 2016. 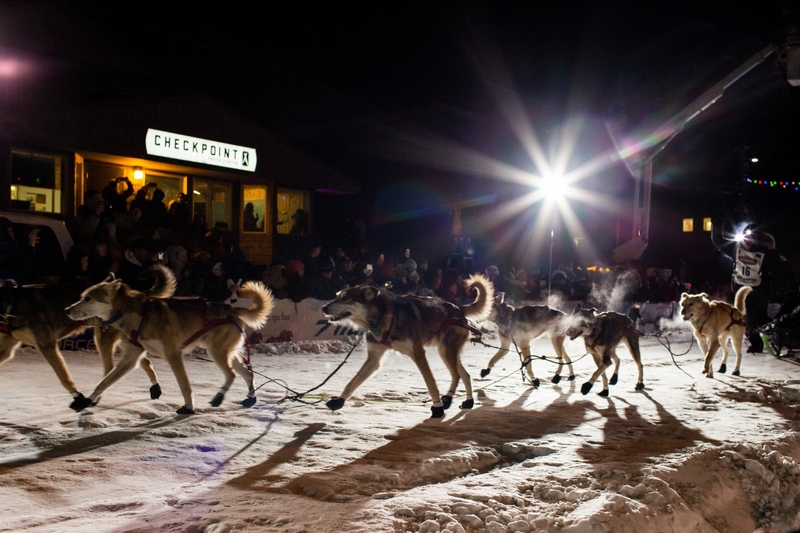 Mushers were expected to arrive later that night. 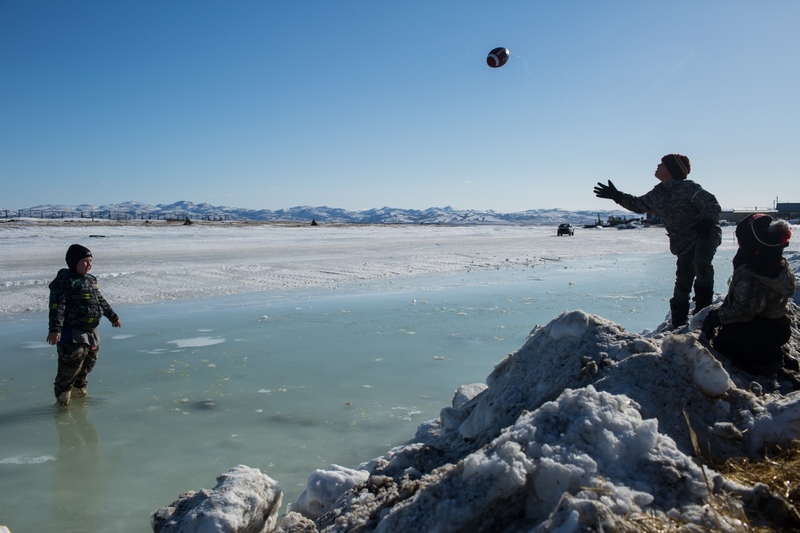 Children play in melted ice and on the snow berms at the Unalakleet checkpoint on March 13, 2016. 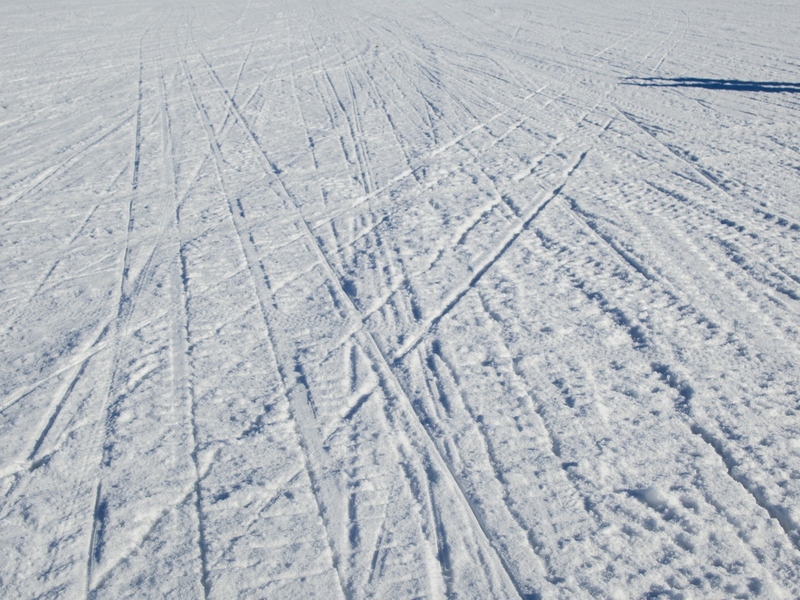 The 2016 Iditarod has experienced some of the warmest weather conditions in Iditarod history. 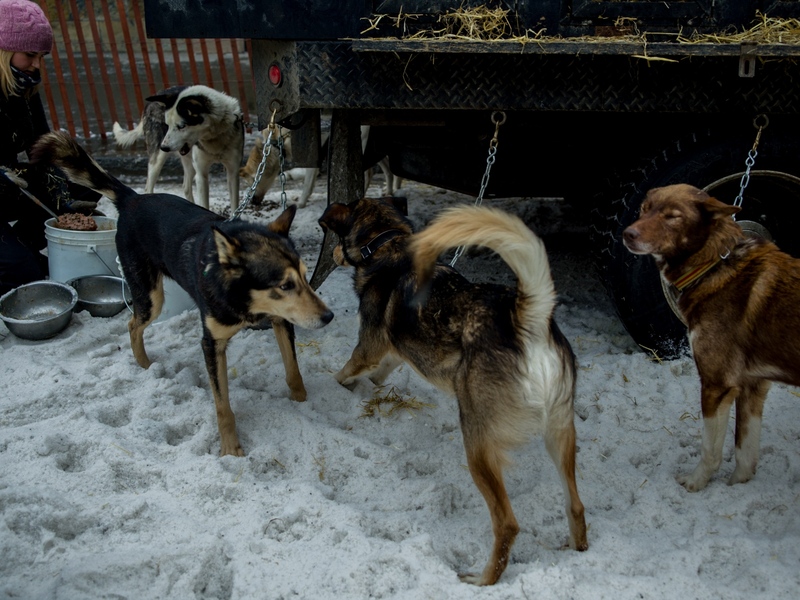 Dogs rest at the Unalakleet checkpoint during the 2016 Iditarod. 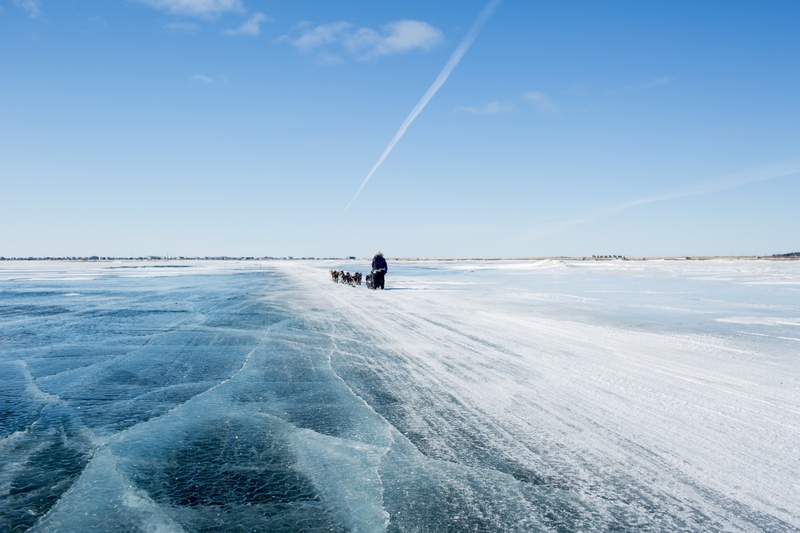 Jessie Royer heads into Unalakleet on March 13, 2016 during the 2016 Iditarod. 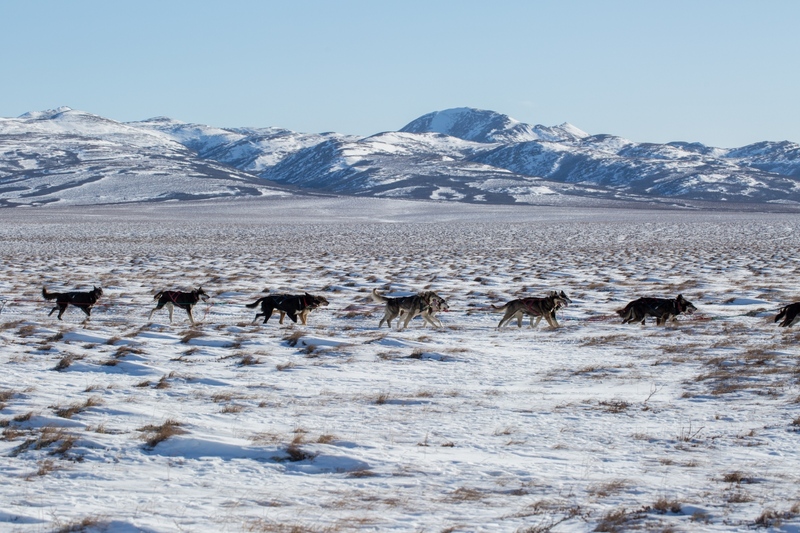 Nathan Shroeder's dog mushing team races about 20 miles outisde of Unalakleet on March 13, 2016. 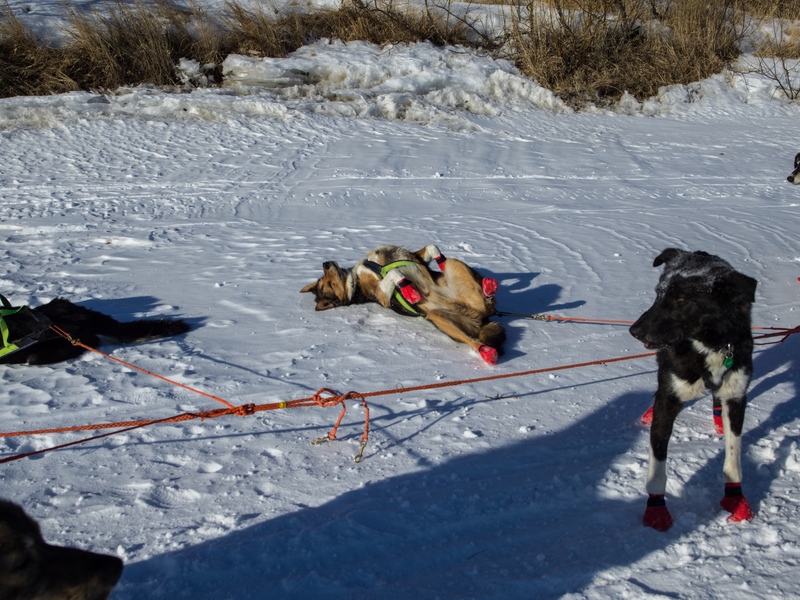 Sigrid Ekran's dog team takes a short rest on the river several miles outside of Unalakleet on March 13, 2016. "They're so hot in this weather," she says. 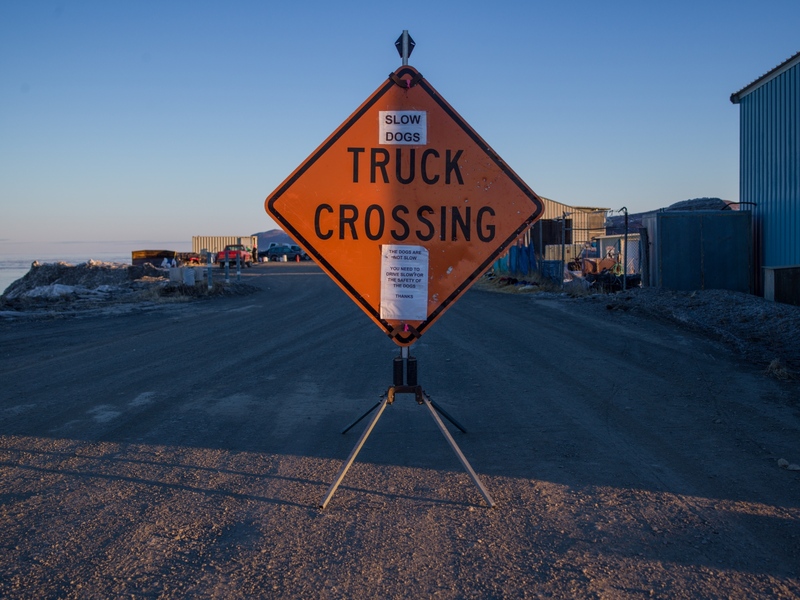 A sign outside of the airpoirt in Unalakleet cautions drivers to drive slowly for the safety of the "dropped dogs" that await their flights home. 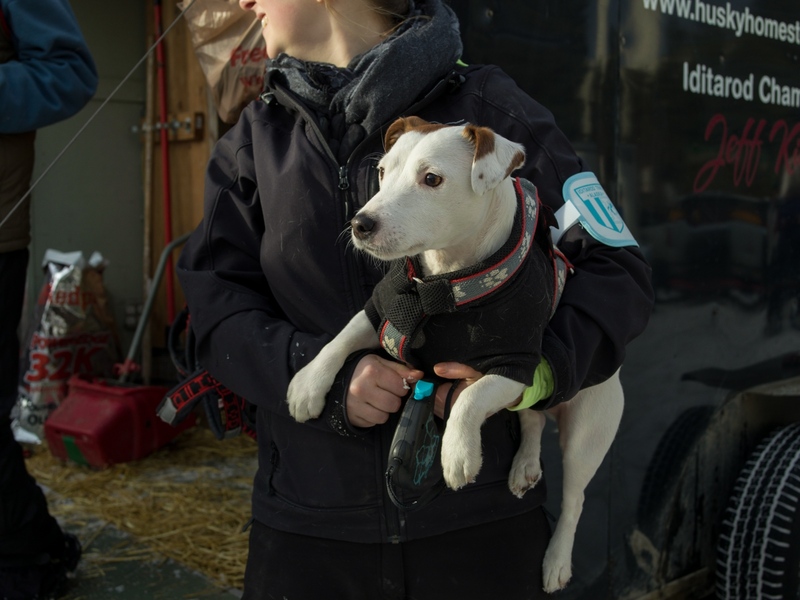 When a dog is dropped from a team, it is tended to by veterenarians and then flown to Anchorage or another hub via the Iditarod Airforce and then transported home to their kennels. 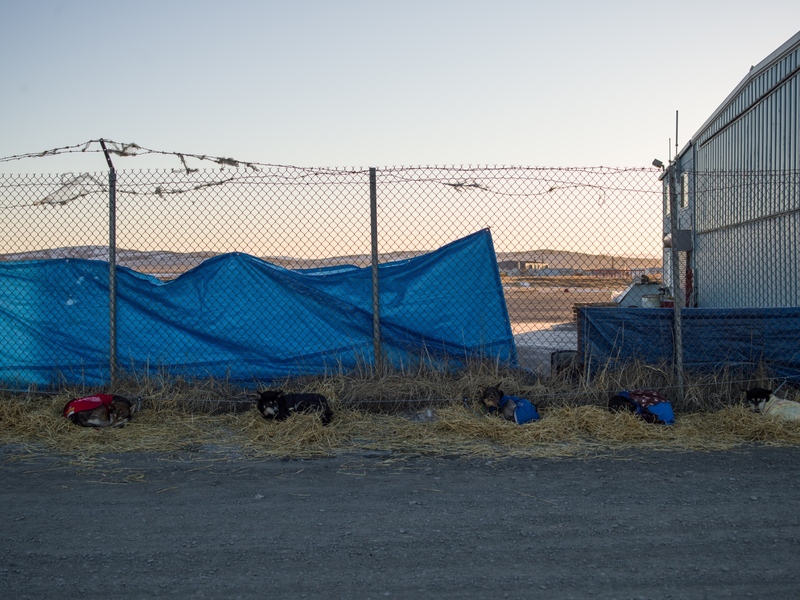 Dropped dogs rest outside of the Unalakleet airport during the 2016 Iditarod. 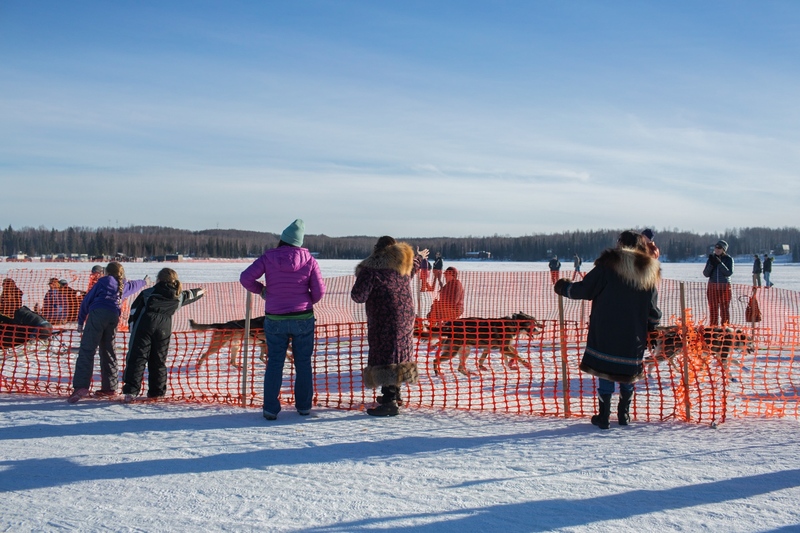 When a dog is dropped from a team for any reason, it is tended to by veterenarians and then flown to Anchorage or another hub via the Iditarod Airforce and then transported home to their kennels. 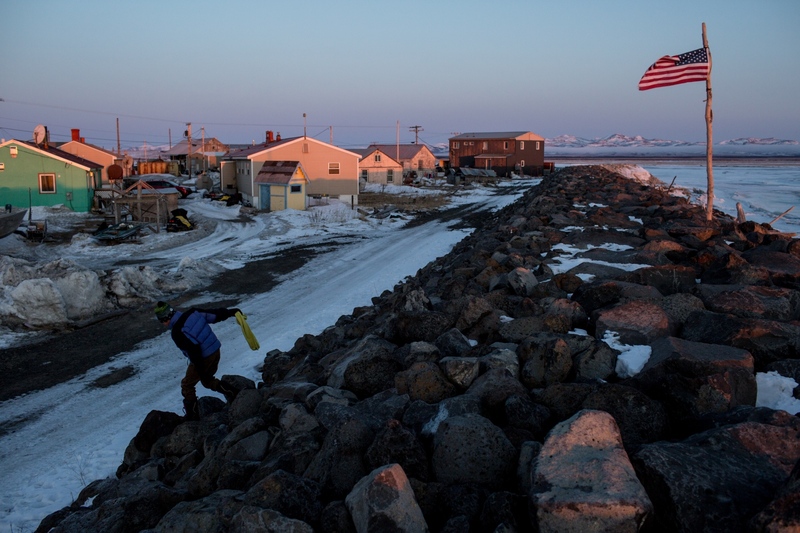 Crowds gather in Nome, Alaska at 2:00am on March 15, 2016 to await the arrival of the first musher. 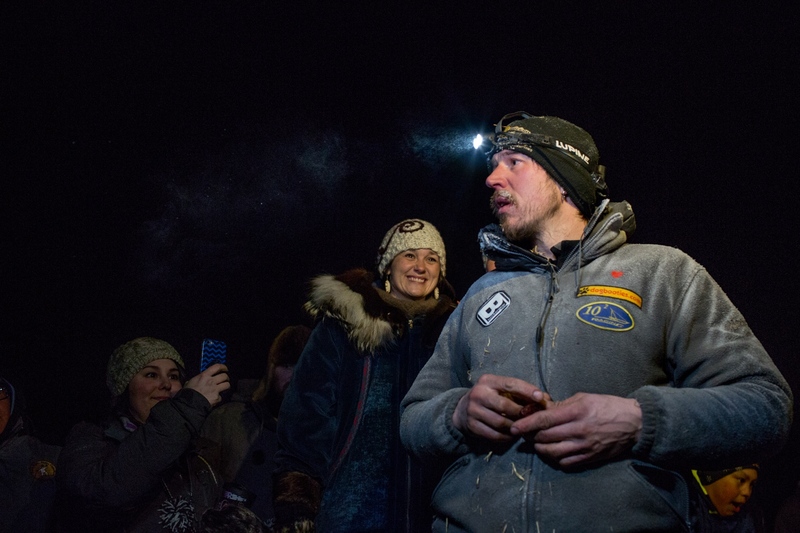 Dallas Seavey arrives in Nome at 2:20 a.m. AKDT on March 15, 2016, winning his fourth Iditarod in 5 years and setting a new record for the fastest time, running the nearly 1,000 mile race in eight days, 11 hours, 20 minutes, and 16 seconds. The previous record was held by Seavey from his win in 2014, when he completed the race in eight days, 13 hours, 4 minutes, and 19 seconds. Crowds cheer for Iditarod XLIV champion Dallas Seavey in Nome, Alaska in the early morning hours of March 15, 2016.